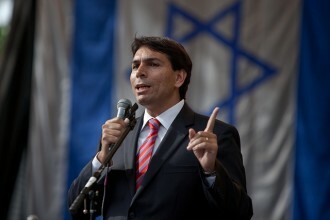 Israeli Prime Minister Benjamin Netanyahu appointed the Likud Party’s Danny Danon, currently the Minister of Science, to the position of United Nations envoy. Danon, a man who Netanyahu fired only last year because of his “loose cannon” actions, seems an odd choice for a diplomatic position of any kind. Danon seems particularly ill suited for the role of UN Envoy due to his outspoken and uncompromising opposition to a two-state solution to the Israel-Palestine conflict, something virtually the entire world supports. Danon is not afraid to make this clear either. Here are his own words in recent years. Read them and judge for yourself what message Netanyahu is sending by appointing Danon to this post.